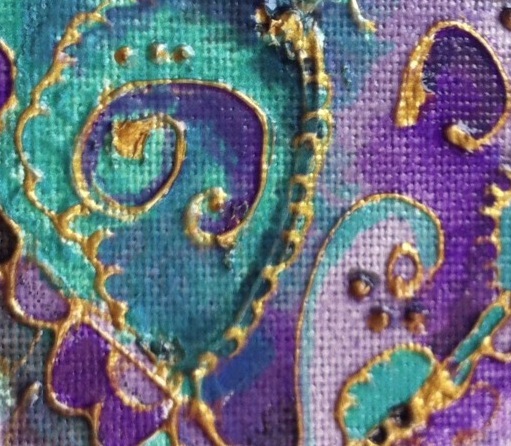 I will be teaching 5 workshops per day on a first come basis at the Creative Stitches & Hobbycrafts Show in Exeter this week. I will be on stand D11 the Pebeo Experience and the product will be on sale on stand D 29 theartshopskipton.com so if you would like to come to a workshop please visit our stand as soon as you arrive to book your seat as the places go very quickly. I am really looking forward to meeting lots of lovely people, so if you are in the area why not come along? 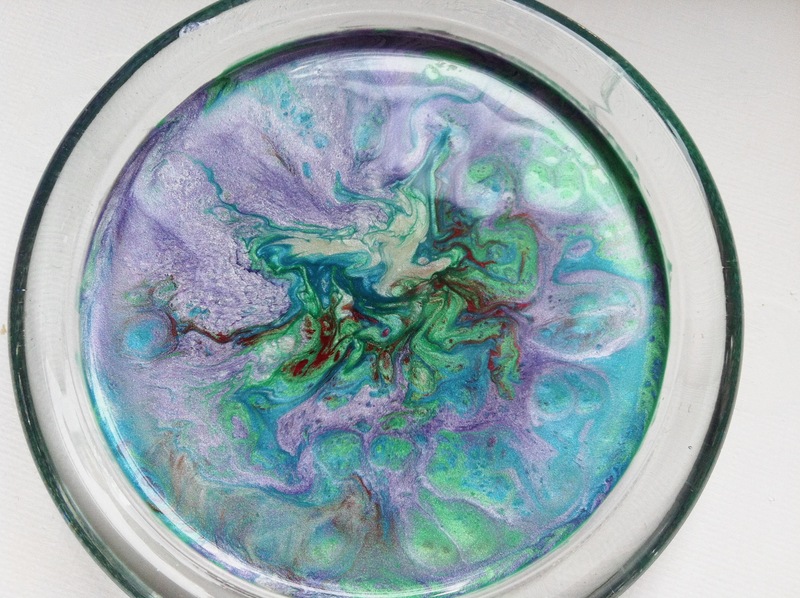 We will be using Pebeo Fantasy paints which are fabulous and can be used on all non porous surfaces. The Fantasy paints come in two different finishes, Prisme which has a freckled/speckled look and Moon which looks swirly. 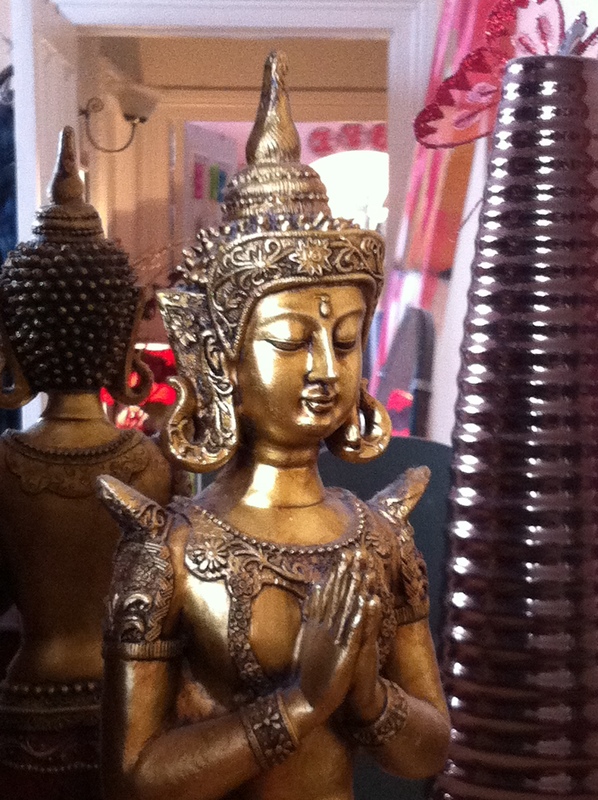 Both have a pearlised almost metallic look and are great on metal jewellery and findings. They work very happily on many surfaces including glass, metal, wood, plastic, terracotta, shiny card ,acetate and pre-gessoed canvas. 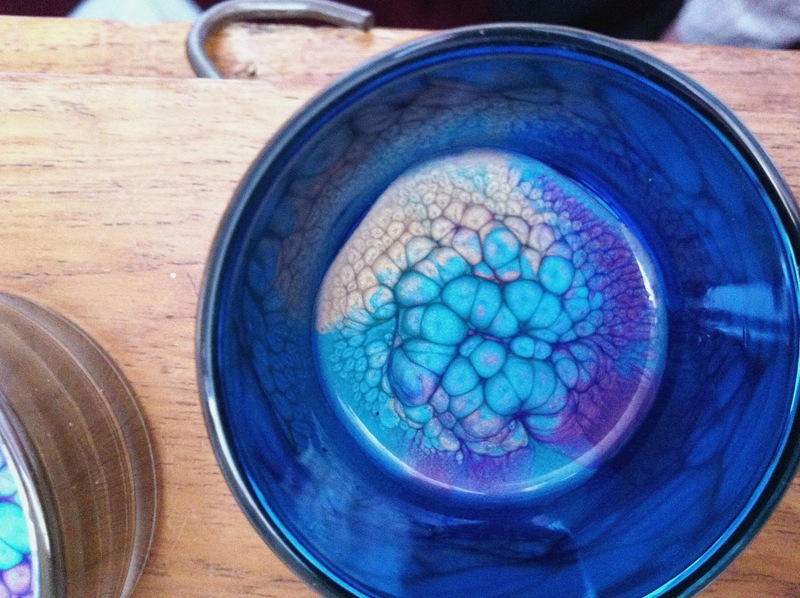 The paint looks like a cross between nail varnish and enamel and can be painted/dropped/poured onto the surface depending on the desired thickness. 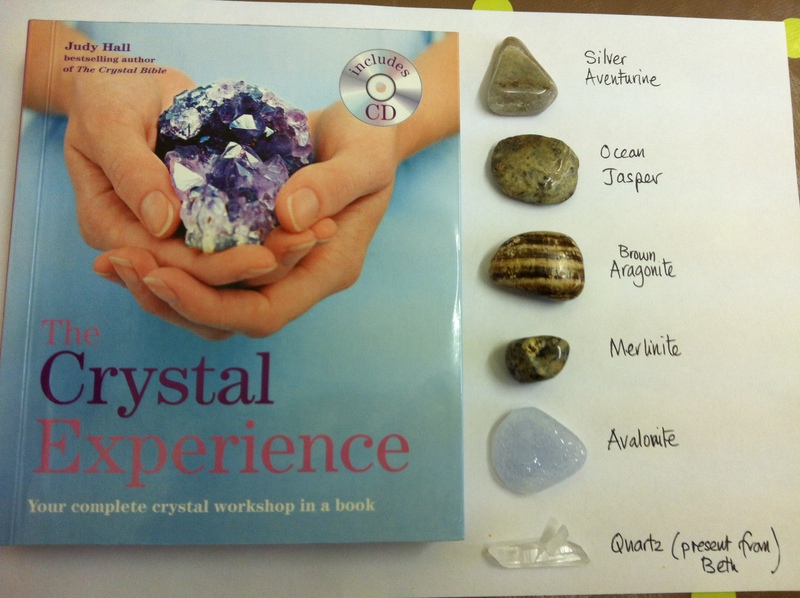 The product doesn’t have to be fired or heat treated and hardens over time, touch dry in 24 hours, hardened in 72 hours and completely dry in 2-3 weeks. The colours mix beautifully without going muddy and having experimented I find that Prisme is best mixed with Prisme and Moon best mixed with Moon as they have different formulations, however you can put the products next to each other as neighbours rather than best friends. The effect you get can be quite unpredictable, but always looks fantastic. Pebeo have a fabulous range of jewellery findings which are ideal for using with the Fantasy paint range and are stainless steel and rhodium plated. I started this little 4″ x 4″ Pink Pig book a couple of years ago. I intend to fill it with quotes that I love and pages that I have decorated. I used a rubber stamp to print the tile design and a Gelly Roll pen to outline it and to write the quote. 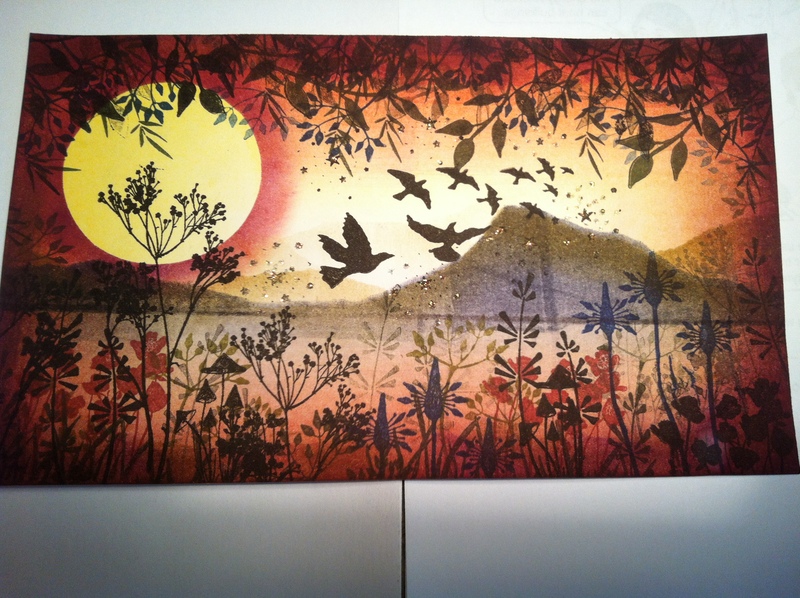 Some people can be a bit sniffy about using rubber stamps, I see them as a design tool and they can be used in very artistic ways. 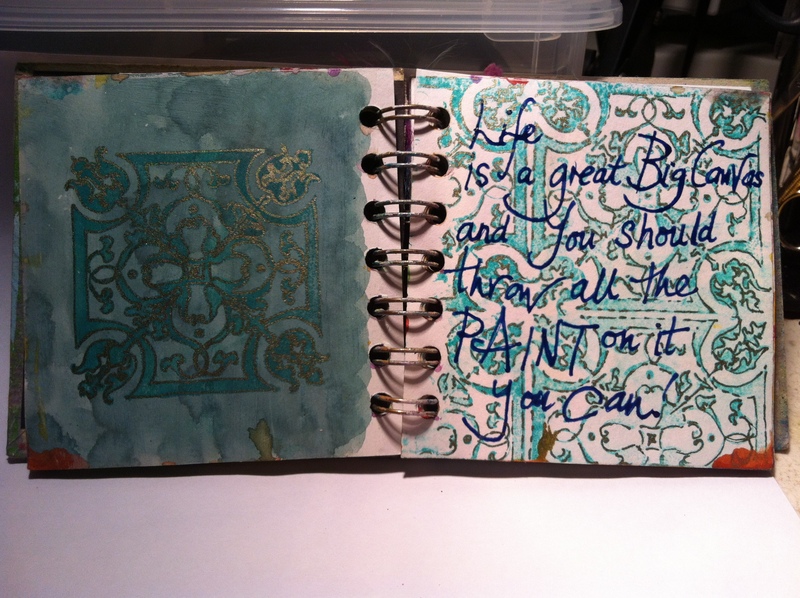 The left hand page has a thin layer of gesso on first and an ink wash over the top. I really like the fact that paint and ink from the pages in front and behind have found their way onto these pages and have created their own pathways. What a great quote ” Life is a great big canvas, and you should throw all the paint on it you can!” Perhaps we should all be throwing around a bit more paint in our lives! What do you think? Leave me a comment…. 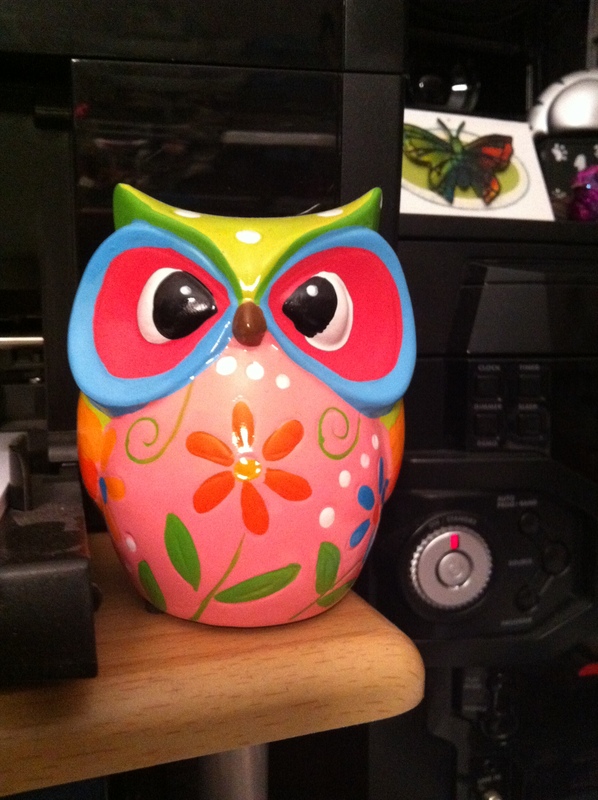 This little owl is so cheerful and sits next to my printer and brightens up the studio. She is a money box and I found her in Razzberry Bazaar last year. I think all the pastel colours are fun and especially like the white polka dots and painted flowers. I have just been watching a very interesting documentary on Lucien Freud on BBC2 this evening. 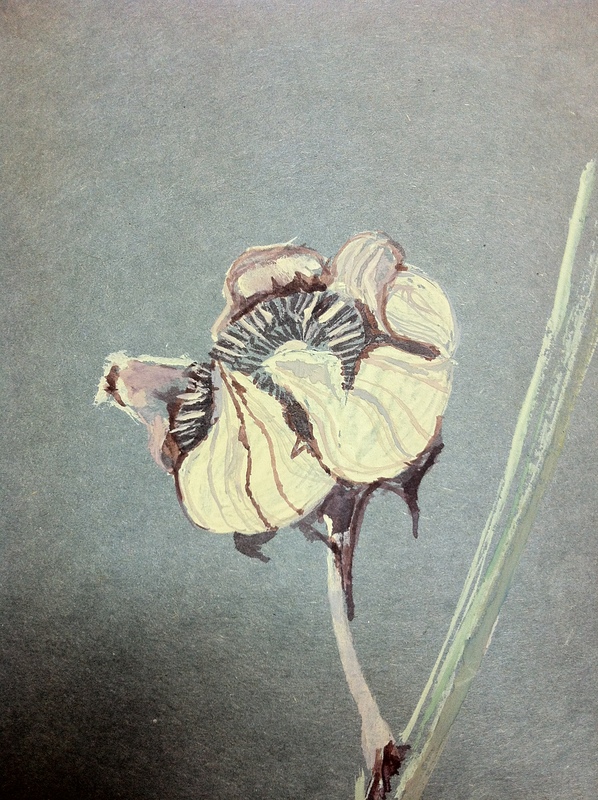 I was surprised at how naive some of his drawings were. It then occurred to me that I haven’t as yet shared any of my drawings. 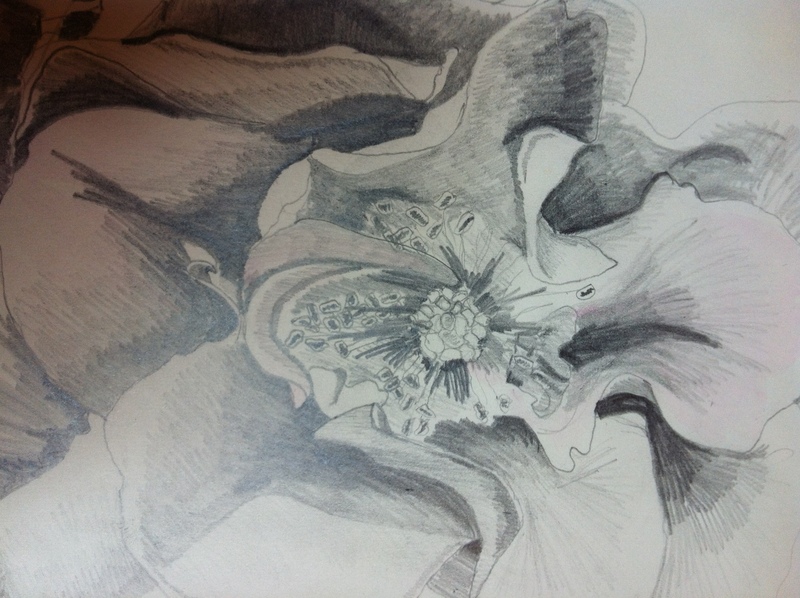 I drew this rose quite a few years ago, and gave it a very pale pink wash to enhance the petals. I’ve been very lazy regarding drawing over the past couple of years, I believe it’s like a muscle the more you use it the better it gets. I want to make a concerted effort to draw more as I had forgotten how much I love the process of looking at an object in-depth and trying to reproduce what I see. Each person has their own view on the world and how you draw is as personal as your signature.Some people say they cannot draw. 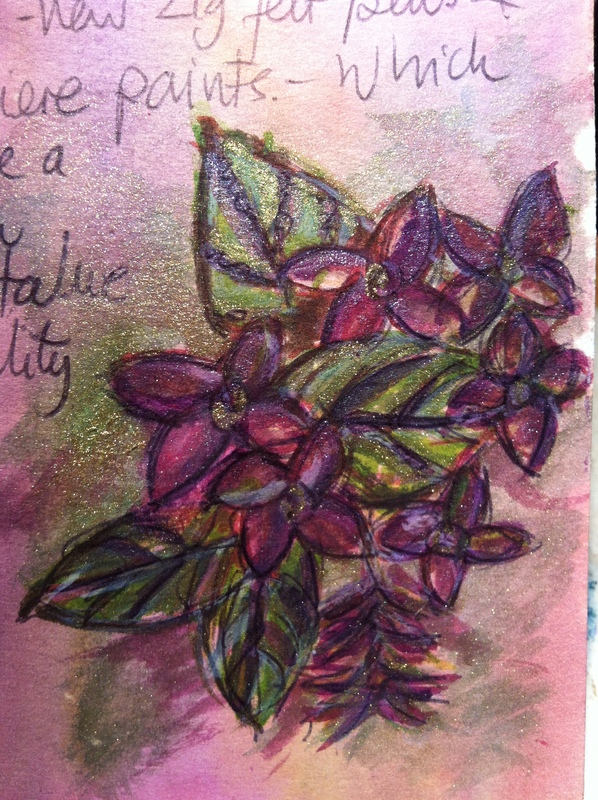 I believe everyone can draw and just need their talents nurturing. How many people were told as a child that they weren’t good enough, when in fact they hadn’t been taught properly. Even a little doodle is drawing so believe in your ability and use a soft pencil at least a 2B, and if you can find a battery operated eraser so much the better! This is the wreath that welcomes the visitors to my home at the moment. The welcome sign came from my local florists and I like to drape it across the different wreaths I have for each season. 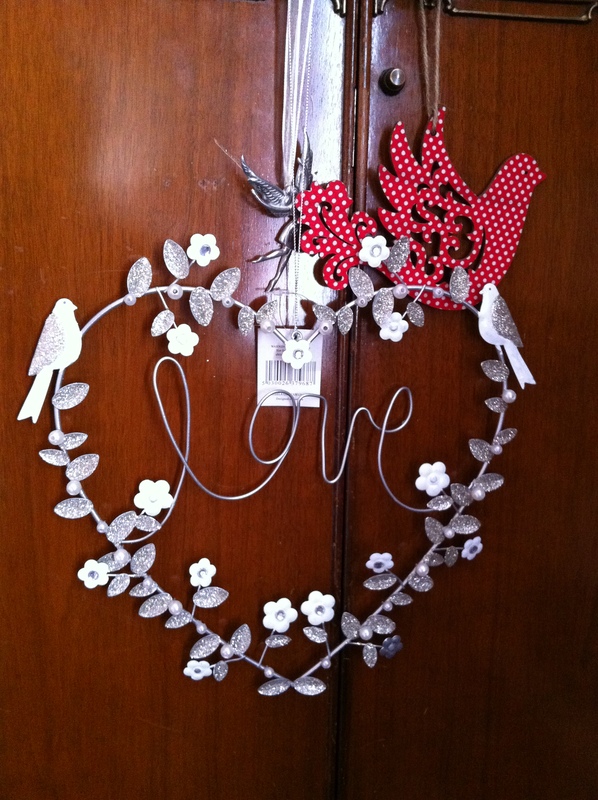 The Hugs and Kisses wreath came from TKMaxx a couple of weeks ago, aren’t the little cloth hearts pretty? I also saw a lovely wreath made of paper flowers for the summer and have decided to make my own version this year. 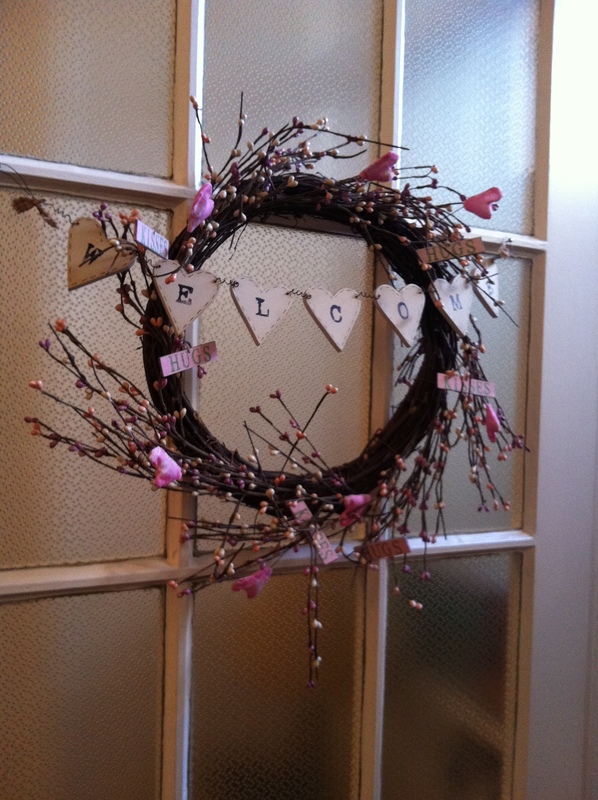 I’m sure I have a wicker wreath somewhere and lots of lovely papers and dies to cut out the flowers……. I’ll have to make a thorough search of the cupboard upstairs when I finally pack away all the Christmas decorations! Whoops, yes I’m that tardy a housekeeper because they are still festooning the spare room! I’ve made an executive decision, tomorrow I’m getting my hair cut. 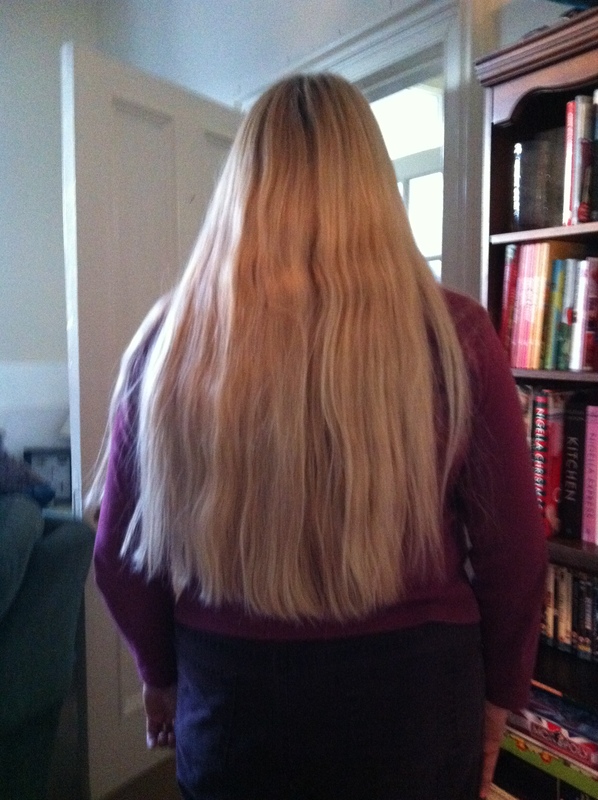 Not the usual trim but I think I’ll have to sacrifice a good few inches of hair. I was looking at my hair in the sunlight and realised that the last 3-4 inches are split and breaking off. As my hair grows quickly this is about a years growth. I really take care of it and allow it to dry naturally most of the time. I occasionally straighten it and always spray it before brushing, but recently I’m finding it harder to deal with and twist up out of the way as it’s so heavy. I’m proud of myself for growing it so long, it’s probably the longest it has ever been in my life. I shall be sad to see so much cut off but I know in my heart of hearts it’s the best thing to do. I’m even contemplating going lighter still, there is a rather nice colour called Stockholm that is calling my name. Superdrug here I come….. that will only take two boxes now instead of three !! Gordon convinced me that he wasn’t buying me a card as he never does and he surprised me by leaving this beautiful card on my desk in the studio this morning. 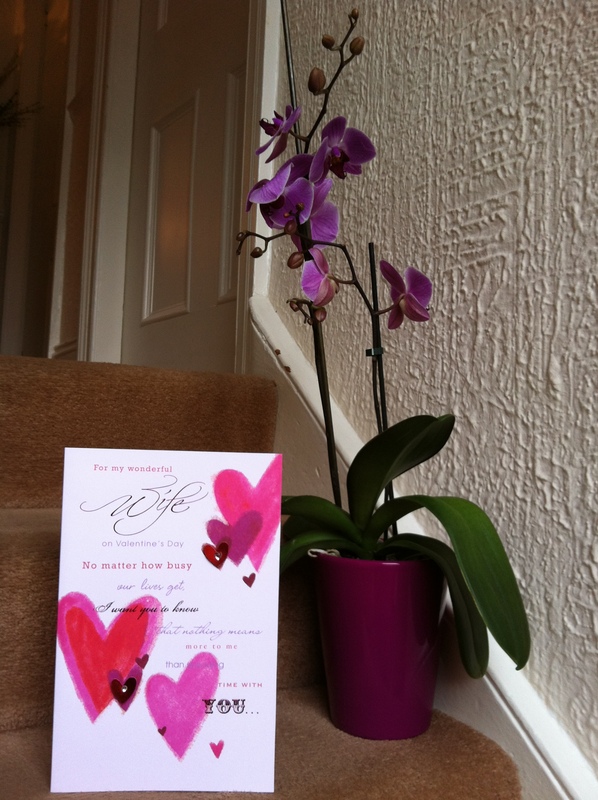 He bought me this lovely orchid last week on a trip to Tesco and I must say the colours of the pot and the hearts on the card match really well. I did point out that after 37 years together the least he could do was buy me a card, so maybe that did the trick. It’s our Coral Wedding Anniversary in April and he has promised me a piece of Coral….. I’ll keep you posted! OOOhhh look it’s another Owl!! They seem to be very popular at the moment. 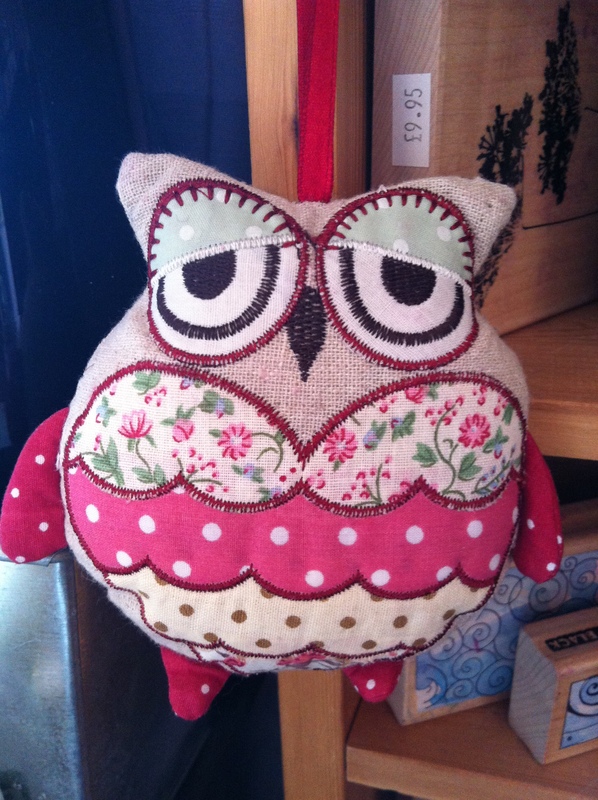 This lovely chap or is it a chapess came from Razzberry Bazaar a couple of weeks ago and is hanging next to my rubber stamps in the studio. I really like the fact that the striped patch on her front is in the shape of a heart. A combination of two of my favourite things. This golden god has been watching over me for the last couple of years. He used to decorate my studio, but since redecorating our bedroom with deep red he gravitated to the chest of drawers on my side of the room. I find his serenity very comforting. 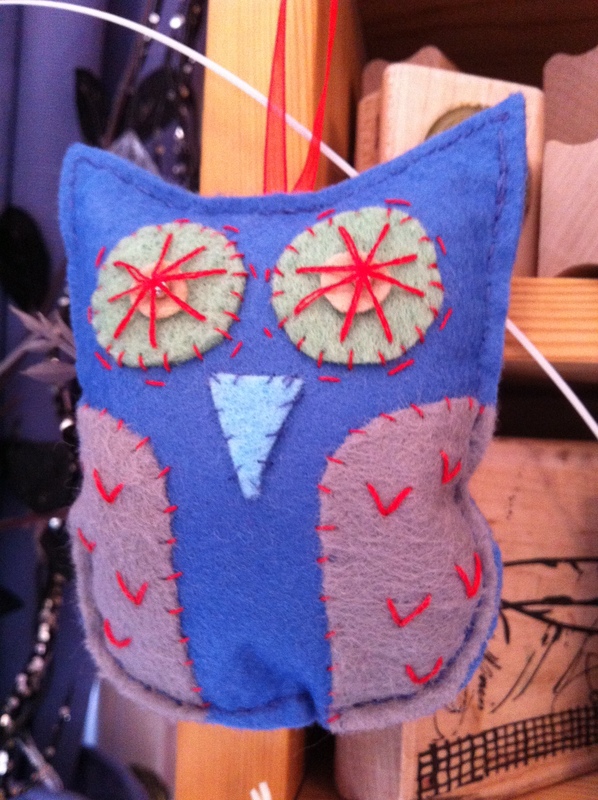 This is the owl that the lovely Catherine made for me this Christmas. I think she realised how partial I am growing to these delightful creatures. He, (I’m sure it’s a he, as he has that blue stripe) is hanging next to my rubber stamp display in the studio where he complements my blue curtains admirably. 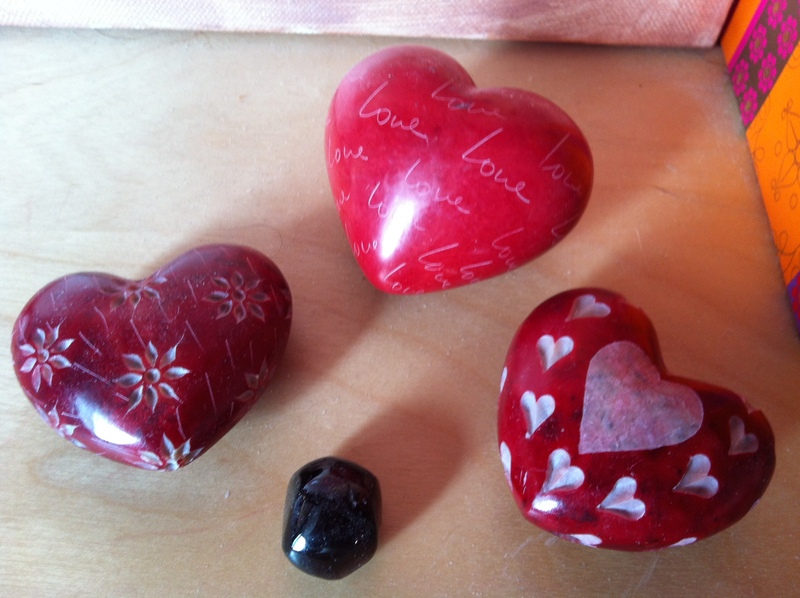 Oh look, it’s another heart…. this time hanging on my wardrobe doors. At this time of year ie. Valentines there are lots to choose from and they keep finding me whilst out shopping. I have a growing collection waiting to be hung on my bedroom wall, they can accompany the growing collection of pictures similarly waiting to be hung as well. As my latest bout of Vertigo is still causing me to be a bit wobbly, I think I had better wait a while before attempting to scale the step ladder! 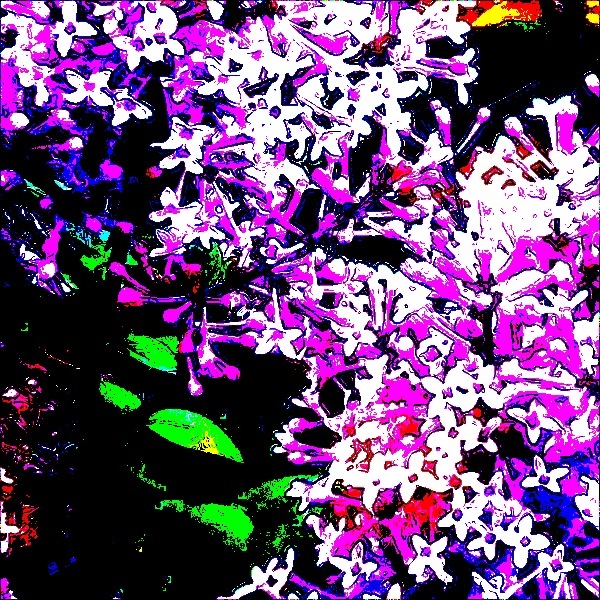 It’s that shot of the lilac again….. this time I have altered the i phone shot with my ArtCamera app. I love the contrasting colours and would like to see it enlarged and on my wall. 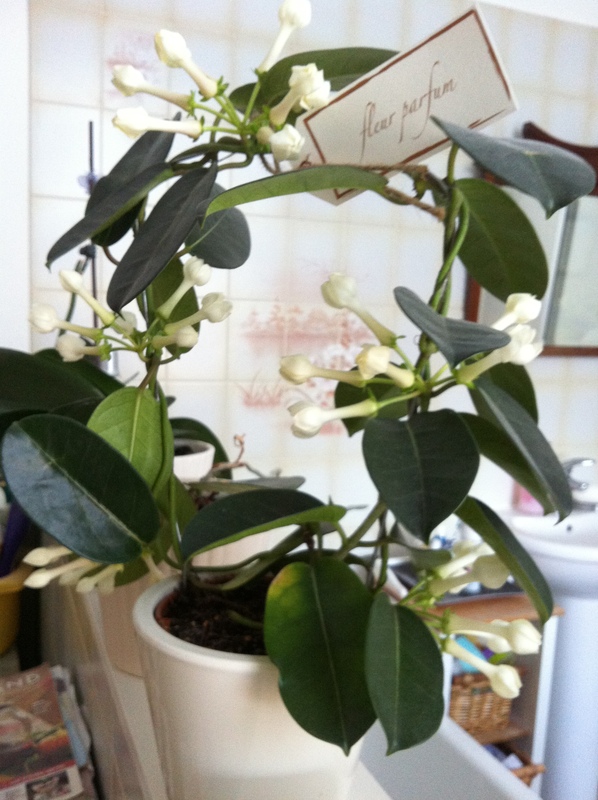 I have always wanted a Stephanotis plant since working in the florists way back when and our local Morrisons store had them for sale a few weeks ago. This one has been gracing the shelf in our bathroom since then. The lovely Linda has one too, she found hers on Skipton market last year when I popped down to visit her one day last year and we had a lovely girly day out together. The smell is truly heavenly. I can quite understand why they are sometimes used in bridal bouquets. I have a bit of an owl thing going on at the moment. 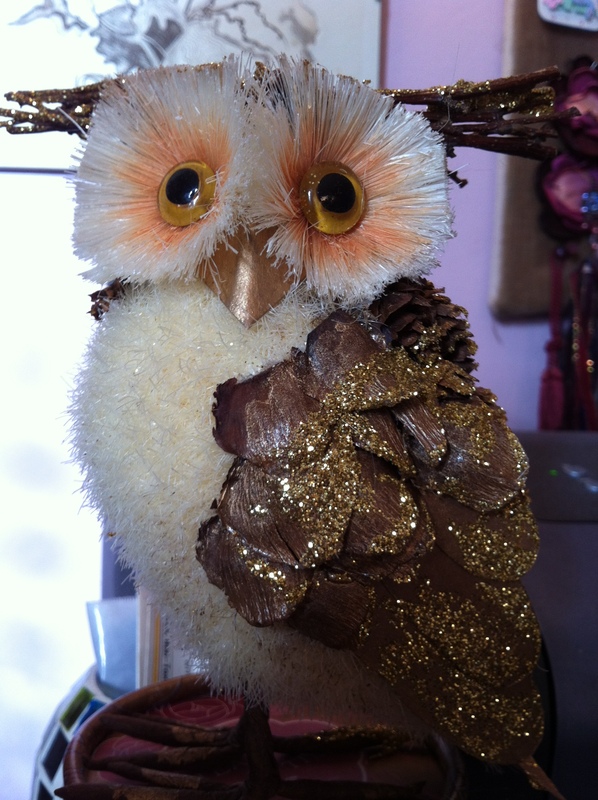 This magnificent chap came to live with me last year via Matalan‘s Christmas decoration department. He stands proudly next to my photo printer in my studio overseeing his domain. Actually, I think he’s probably noticed that my studio needs a good dust!! Whilst watching Casualty this evening I was playing with the photos on my i phone and I produced this lovely effect with an app called Retro Camera. 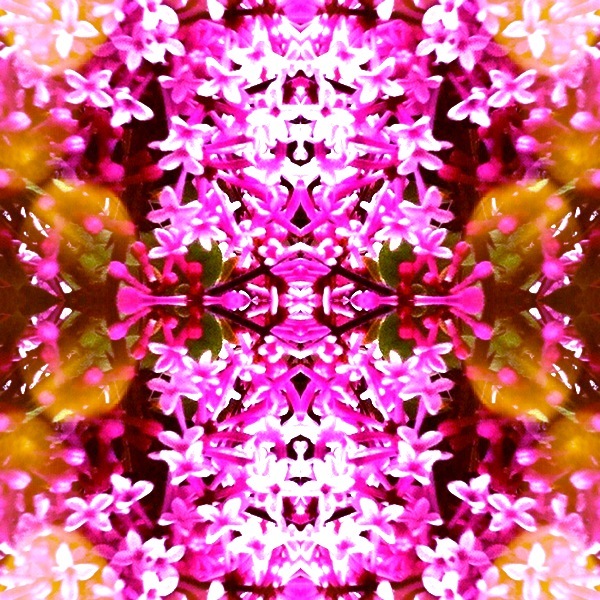 It reminds of the kaleidoscopes I loved as a little child. It is a photo of the lilac bush in my front garden.